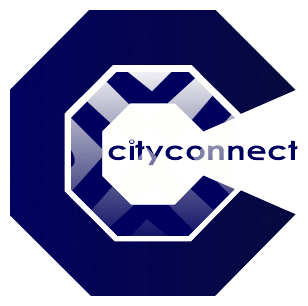 City Connect is a platform connecting people with completely different interests and backgrounds. It originated from the idea to bring people with various experiences and educations together, in order to generate a diverse community stimulating the work of a number of fields. We connect people and ideas that would not normally get connected. City Connect was established in Cambridge in early 2011. Originally, it was based on events in Cambridge/ UK and enabled the exchange of stimulating ideas between people who could share their expertise with members of this new community. A plan hatched not only to highlight the more diverse Cambridge events, but also to use those to help our readers and writers network. As the event category grew, we realised that there was call for more information, bringing not only people from Cambridge together, but reaching out further. The idea took off and after a month of being quite singular and just featuring Cambridge events and news, we expanded our pages to London, covering London events, theatre, art galleries and museums to name a few. Now our readership has gone global, with a great deal of new interest in France, The United States, Germany, Canada, Australia and many other places. We stay true to our original premise of keeping our events sections predominantly filled with Cambridge and London events but have expanded our other categories to reflect our global interest and to accommodate our new fan base. Our online magazine now reaches out to a wide audience and has something for everyone. We offer a comprehensive range of features and articles, such as news, film and music reviews, trends and hot topics, science & technology articles, dating advice, culture & lifestyle sections to name but a few. We also hold networking Cambridge events to join our writers, advertisers and readers together and our looking to expand these events to London. Our Cambridge events currently range from the casual to the formal, but everyone with a passion for networking is welcome. We also use our Cambridge events to invite anyone with a passion for writing to join our writing team. We look forward to expanding our readership every day with our main aim to bring people and ideas together. If you have any suggestions please do contact us. We are always happy to welcome new members and ideas and hope that YOU will be stimulated by the diversity of interest displayed on City Connect. For a comprehensive list of our writers, please click here. Please visit our Contact Us section for more information.